Chris Raschka, The New York Review, hb. 978 1 8478 0186 9, 2008, £12.99, 188pp. 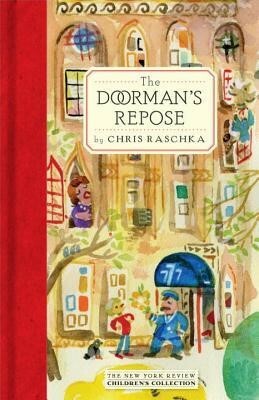 These tales of life in a ‘spiffy’ New York apartment house are by an author best known in the United States for his picture books, two of which have received Caldecott Medals. In the tradition of the early twentieth-century New York stories of O. Henry, Raschka introduces us to the lives of the staff and residents of No 777 Garden Avenue. This is a building which is located somewhere in the New York of the collective imagination, where each apartment house has an authoritarian regulation-bound building manager, a seldom seen old lady owner who lives in the penthouse suite, and a group of characterful residents, including a lyric soprano opera singer. ‘As everyone in New York City knows, each building must have at least one working opera singer’; and there is an inspection by the city authorities every five years to make sure that there is one in place and can still sing. These are inventive, gentle and wryly humorous stories which embody a democratic ideal that embraces eccentricity, and which values kindness, friendship and human understanding. They depict New York as a diverse community of, among others, lovers of baseball and flowers, psychologists, jazz musicians and boxers, even if the last three are mice. For Raschka’s interest is not in just the human residents. As well as the building’s rodent community, he introduces us to Otis the match-making elevator; and to the history of a music room, which in the division of a floor into smaller apartments is lost and miserable for decades, only to be reconnected with light and life. The stories are accompanied by the author’s illustrations, characterisations which themselves seem to gesture towards the style of the middle twentieth century. I love these stories. I don’t find them to be particularly written for, or to be enjoyed by, only children, although the main linking character is Theo, a ‘middle schooler’ and the stories frequently honour the lives of the older residents through the respect and friendship of the youngest.